Chop peeled potatoes to large chunks. 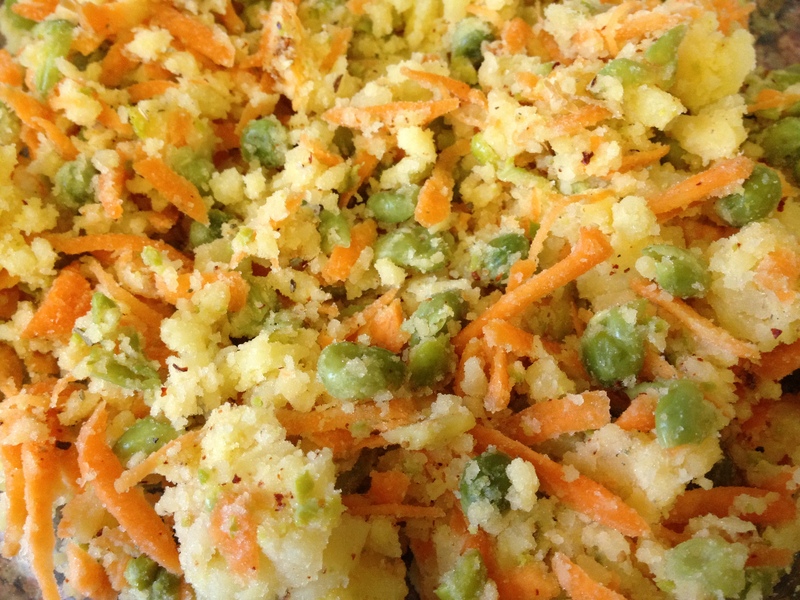 Add potatoes, green peas and 3-4 tbs water and cook covered in a microwave for 5-6 minutes. Drain excess water. Add grated carrot and mash all. No need to make a smooth mixture. Add onion powder, garlic powder, pepper powder, sage and salt. Mix well. If the mixture is too dry to form burgers, add little of the cornflour paste. Take large ball of the mixture and form burger shape. 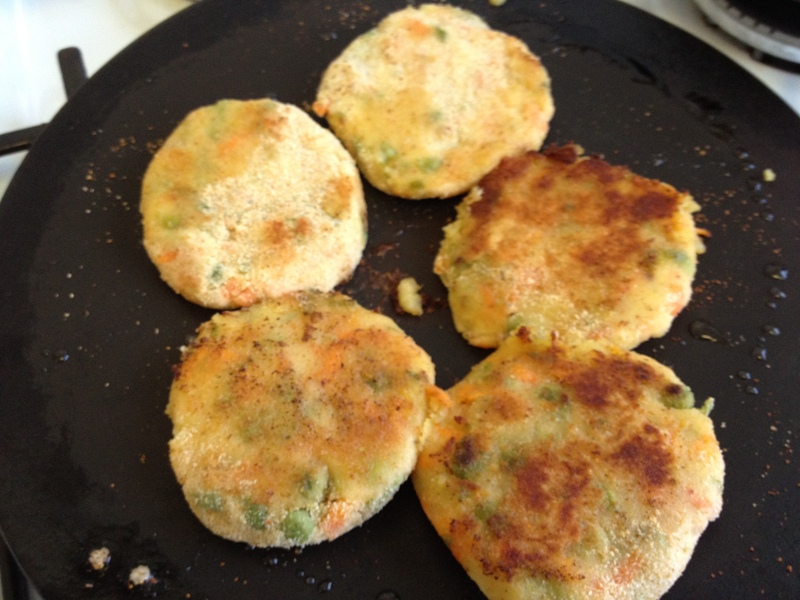 Rub little of the cornflour paste on both sides and dip in breadcrumbs. The patty will be little soft and crumbly to handle, but no need to add any other binders. Pour 2 tbsp oil in a flat pan and brown both sides. Slit a burger bun and smear garlic chili mayo liberally. Place lettuce, burger, tomato and onion slices. Enjoy. 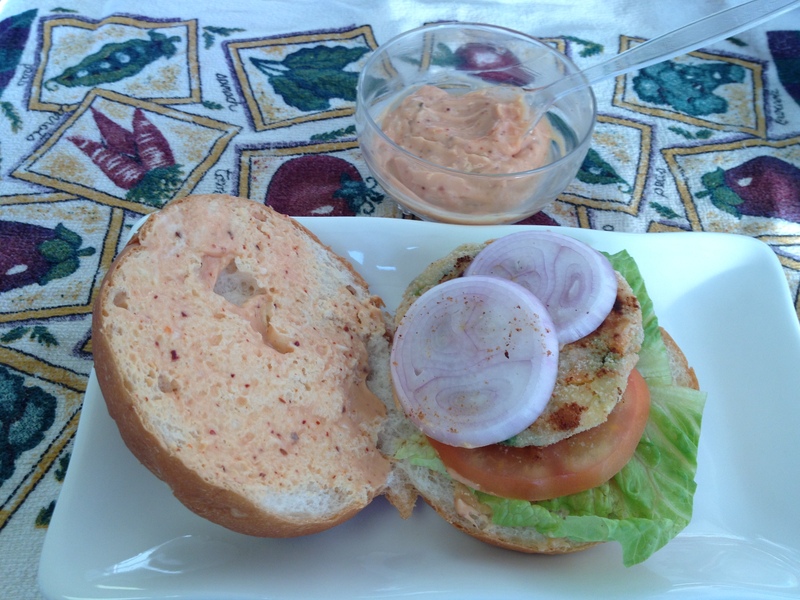 This entry was posted in Breakfast, Snack and tagged burger, vegetable burger by PriyaBaby. Bookmark the permalink.